Energize Schools curriculum is freely available to California 9-12 teachers. If you are not a California high school teacher, please send us an email for pricing and purchasing. These instructional projects will engage your students in sustainability topics while developing valuable career skills. Curriculum is aligned with the Common Core, California Career Technical Education, and Next Generation Science Standards. Semester or year-long UC A-G approved courses that are designed to meet the California Career Technical Education Standards for the Energy, Environment, and Utilities sector. ​A D-Lab Science course that introduces students to career opportunities in sustainable STEM fields through a series of projects including: wind turbine design, making biodiesel, creating solar cars, and energy auditing. Students engage in experiential projects related to sustainable design, energy efficiency, and renewable energy careers. A year-long UC A-G approved G-Elective course. The course is supplemented by suggested field trips and shadowing of energy professionals in the field. The course is supplemented by suggested field trips and internships in the green technology field. This Certificate is designed to prepare high school and community college students for entry-level positions in the solar industry, with a strong foundation upon which to develop a long and productive career in the industry. The SEI Solar PV Design & Installation Certification, offered in collaboration with Grid Alternatives and the IBEW Electrical Workers’ Minority Caucus, includes: curriculum and instructional support for either a 2-hour or 12-hour version of an introduction course to Energy Fundamentals, Energy Auditing and Solar Installation; an optional ground-mounted or mock roof solar installation project; a Grid Alternatives residential roof installation project; a Solar Installation Certificate and; ideally, dual college and high school credit awarded. At the conclusion of the Certificate experience high school and community college students will have a strong understanding of energy and solar fundamentals and careers, and most importantly, they will have substantive field experience in energy auditing, solar design, and solar installation. The High School Energy Auditing Certificate provides instruction and hands-on experience that prepares students to perform a comprehensive energy audit of their school, and other residential and commercial buildings. By coupling relevant background material on sustainability, climate change science, and energy careers with specific auditing skills, this course gives students the knowledge they need to understand the energy auditing profession and the range of applications for the skills learned through this Certificate. The curriculum leads teachers and students through an audit that includes: appliances, lighting, HVAC and other mechanical systems, the building envelope, utility bill analysis, and audit report writing. The Certificate culminates with a student presentation of their findings and recommendations to key decision-makers, such as their school board. ​ The SEI Green Building Certificate provides hands-on lessons in green building design and construction, energy and water smart buildings, green building materials, green building economics, and the green collar workforce. Experiential activities include designing and constructing a model structure, conducting a green building site analysis, a school water audit, a life-cycle cost analysis of a green building project, and preparation for a green job interview. The SEI Sustainable Enterprise Certificate empowers students to start new initiatives in the for-profit, non-profit, and public sectors. Students first use critical and creative thinking to develop an opportunity based on an environmental and/or social problem they observe in their community or the world. The curriculum then guides students through the stages of business plan development and implementation, enabling them to experience the full entrepreneurship cycle. The SEI School Solar Analysis curriculum guides students through an analysis of the solar potential for their school. Students gain an in-depth understanding of solar science, solar system sizing, and design considerations. By completing the analysis, students can determine the system size, cost, and optimal location of a solar array for their school. 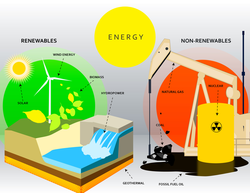 In addition to solar science, this curriculum provides relevant background information on energy sources, the carbon cycle, the greenhouse gas effect, climate science, utility rate structures, and solar financial analysis. These topics are used as a basis for discussing why a school would consider a solar project. Students will complete a design for a solar system large enough to generate 80% of their school’s electricity use. Students will use their calculations of solar system size, cost, and payback period to develop a report and present their findings to their school board to make the case for solar at their school. The SEI Home Solar Analysis curriculum guides students through a solar analysis of their home. Students gain an in-depth understanding of solar science, solar system sizing, and design considerations. Completing this analysis allows students to determine the size, cost, and location of a solar system installed for use in their home. 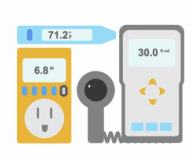 Students will use their calculations of solar system size, cost, and payback period to make the case for solar at their home. The SEI Solar USB Charger unit guides students step-by-step through the process of building a solar USB charger. Students gain an in-depth understanding of solar science and basic electrical circuitry. 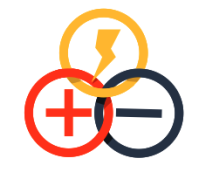 In addition to solar science, this curriculum provides relevant background information on energy sources, the carbon cycle, the greenhouse gas effect, and climate science. These topics are used as the basis for how a solar device charger benefits the environment. Students will complete the construction of a solar USB charger that has the ability to charge any device with a USB connection. 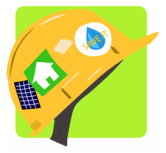 The SEI Solar Water Heating curriculum guides students through designing and building a solar hot water collector. Students gain an in-depth understanding of science of heat transfer, water heating efficiency, and design considerations. In addition to solar water heating science, this curriculum provides relevant background information on energy sources, the carbon cycle, the greenhouse gas effect, and climate science. 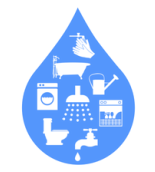 These topics are used as a basis for discussing the benefits of transitioning to more efficient and sustainable water heating. Students experiment to determine materials with high insulation properties and high solar radiation absorption factors. Then, students design and construct a solar water heater collector. The SEI Watersheds and Public Water Systems curriculum provides students with hands-on learning activities to explore how water flows through their local watershed, and is distributed and treated through their public water and waste water systems. Students gain an in-depth understanding of the importance of water, how water is treated and transported, and how humans are impacting water sources, as well as skills in computer applications, biology, and chemistry. 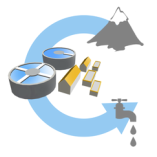 Projects include creating a GIS Story Map of their local water systems, conducting water quality testing and analysis, and designing a water filter. Students are introduced to careers in the water industry ranging from ecologist to engineer. The SEI Aquaponics curriculum emphasizes the importance of sustainable design and resource management by guiding students through the technical design, construction, and maintenance of an aquaponics system at their school. This curriculum is written to be scalable, from classroom desktop systems to larger greenhouse systems. Through hands-on activities, students gain an in-depth understanding of aquatic ecosystems and nutrient cycling, as well as engineering principles and design processes. The project culminates with the completion of a functional aquaponics system, from which students can harvest their own food! The SEI Biomimicry curriculum emphasizes the importance of climate change mitigation and sustainable design by guiding students through the technical design and construction of an engineering project inspired by nature. This curriculum includes background lessons in climate change science, evolution, and engineering, as well as hands-on activities, enabling students to gain an in-depth understanding of sustainable engineering principles and design considerations. The project culminates with a student design competition! The SEI Eco Audit curriculum gives high school students real-world experience in promoting energy efficiency and sustainability by giving them the chance to perform a full sustainability audit for a local business. Students receive audit training, recruit a business to work with, perform an audit, create a report, and give a presentation on their findings both to their classmates and to the business they have audited. Through this experience, students gain skills in professional communication, report writing, and commercial sustainability auditing. The SEI Engineering Aquatic Ecosystems curriculum guides students through the design challenge of developing a self-sustaining, closed-loop aquatic ecosystem that supports at least 5 organisms for at least 3 weeks. This project is designed to be highly self-directed and encourages students to identify problems and find solutions through self-guided experimentation and research. Based on their findings, students will choose living organisms, design the ecosystem, troubleshoot problems, and test solutions. Students conduct water quality testing and analysis, research projects, and develop technical drafts. Students are also be introduced to careers in the water industry, ranging from ecologist to engineer. 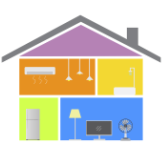 The SEI Home Energy Assessment curriculum guides students through an assessment of energy usage in their home. Students learn relevant background information on energy sources, renewable versus non-renewable energy, and climate change science that prepares them to evaluate energy efficiency and energy conservation opportunities and educate their families. The curriculum is both fun and technical, allowing students to consider the potential cost and greenhouse gas emissions reductions that can be achieved through smart energy choices. The SEI Home Water Assessment curriculum helps students understand the importance of water and opportunities for conservation by exploring the different ways we use water in our lives, directly and indirectly. Students learn about the water cycle, the energy-water nexus, and complete activities that allow them to assess how much water their family uses at home and prioritize opportunities for water use reduction. The SEI School Water Assessment curriculum emphasizes the importance of water as a resource, and guides students through an exploration of the different ways we use water at school and in other commercial buildings, both directly and indirectly. Students learn about the water cycle, the energy-water nexus, and complete an in-depth school audit that allow them to assess how much water is used at their school and develop a report with water use reduction recommendations. Transportation accounts for 28% of greenhouse gas emissions in the United States. Reducing carbon emissions and improving air quality in schools requires an understanding of how students and teachers travel to and from school. The SEI School Transportation Assessment provides hands-on lessons that guide students in conducting a transportation audit and calculating school transportation carbon emissions. 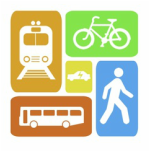 By evaluating current transportation practices and impacts, students and school staff create informed strategies to encourage more sustainable transportation alternatives. Students will gain an in-depth understanding of the transportation landscape at their school through a series of quantitative and qualitative Transportation Audits. Students will make the connections between vehicle miles traveled, miles per gallon, and climate change by calculating school trip emissions. The SEI Ecological Economics and Climate Policy introduces students to key concepts in economics, including externalities and the tragedy of the commons, in order to better understand how economics is related to climate change. They research and discuss current climate-related policies through the lens of economics, and debate about each policy’s pros and cons. They conclude by learning about climate-related policies in California and at the federal level, and applying their knowledge to create a personal political action plan. School Zero Waste Guide: This is an essential Guide for schools looking to reduce the amount landfill waste generated on campus. The SEI School Zero Waste Guide contains the information and tools necessary to establish a Green Team, set a waste diversion goal, develop a plan for reducing waste, establish a baseline for landfill waste generated, implement waste reduction measures, and verify reduction results. The Zero Waste Guide identifies the important materials, preparation tasks, and waste audit processes and analyses to assess your school’s waste and implement conservation campaigns. The Guide provides resources for understanding the school’s existing waste infrastructure and diversion baseline. After the initial assessment, students are provided with easy-to-use resources and ideas for dramatically decreasing the amount of landfill waste produced, and measuring and verifying their results. Successful results motivate students, faculty, and staff to deepen and sustain their collective changes once they’ve seen the significant implications for both school operating costs and the environment. This is an essential Guide for schools looking to reduce the amount of energy used at your school. The SEI Energy Conservation Guide contains the information and tools necessary to establish a Green Team, set a goal, develop a plan for reducing energy consumption, establish a baseline for energy use, implement energy reduction measures, and verify reduction results. It identifies the important materials, preparation tasks, and energy audit processes and analyses to assess energy use and implement conservation campaigns. The Guide provides resources for understanding the school’s existing energy usage and strategies for reducing energy use such as delamping and reducing phantom loads. The results of the implementation of a School Conservation Action Plan can have huge impacts on energy costs and environmental impact. The SEI School Sustainability Policy Guide is designed to explain how school policies and regulations are created and the economic, environmental, and social benefits they can produce. The guide simplifies the complex task of policy development and approval by providing examples of existing policies and regulations that address issues in a wide array of sustainability topics, including energy, water, waste, and procurement. In addition to examples, the Guide also includes templates to ease the process of creating new sustainability policies at your district or school. The SEI Sustainability Fair Guide provides everything students, teachers, administrators, and parents need to create a fun and engaging school and community event to promote sustainability and provide hands-on environmental education activities. The Guide offers tools for planning, project management, fundraising, outreach, and fair activities to create an exciting and impactful event that attracts a wide audience. ​The SEI Energy and Solar Monitoring Guide helps students to track their school’s electricity use over time, solar production (if relevant), and the success of energy conservation campaigns. This user-friendly tool helps students to learn Excel skills, calculates outcomes, and creates graphs to help students to educate their school community on energy use and production patterns. Water is a scarce resource. Taking care of our limited water supplies, and the ecosystems that depend on them, is key to responsible environmental stewardship. The SEI School Water Conservation Guide contains the information and tools necessary to establish a Green Team, determine a baseline for historic or current water use, develop a plan for reducing water consumption, implement water use reduction measures and projects, and finally, verify reduction results. The guide identifies important materials and preparation tasks to aid in assessing your school’s potential for water conservation projects and strategies. The guide also provides resources for completing greywater installation projects, building a rainwater catchment system, and employing water-wise landscaping techniques. Ultimately, these projects create the opportunity for students and staff to learn more about water conservation and can have significant positive impacts on school operating costs as well as the environment. All graphics courtesy of Abraham Lopez and Ruiheng Li.